It has been said that health is wealth and it is the right of every individual to stay healthy by getting equal access to available healthcare facilities. However, there are numerous groups of people or individuals who lack sufficient knowledge about or access to health facilities. One such socio cultural group in Australia is Aboriginal and Torres Strait Islander people who have suffered from several adverse life events along with systemic discrimination from many years affecting their overall health and social and emotional well-being. Research studies suggest that these people are not only are more prone to certain diseases like heart diseases, respiratory disease, etc and have more health risk behaviour like smoking, obesity, etc than the non indigenous population but also lack the awareness and access to get appropriate treatment and care facilities (Francis, & Chapman, 2011). The major reasons of this poor health have been attributed to factors like poverty, racism, discrimination, poor education, poor health facilities etc by several researchers. The issue of poor access to Australian Aboriginal and Islander people have been studied a lot and one such article on the reasons of and addressing health inequities is "Addressing inequities in access to quality health care for indigenous people" by Peiris, D. 2008. As per the article, there are inequalities in access to health care and service usage among Aboriginal people in many countries including Australia, Canada and New Zealand that greatly contributes to major ill health. One of the main reasons identified for this inequality is colonization. These people have suffered adverse life events due to colonization like forced removal of their children from them that have greatly contributed to psychosocial stress and eventually adverse health outcomes. The stress of such events has caused numerous diseases, has served as an essential barrier to accessing health care and thus, made these people chronically ill (Peiris, et al 2008). Yet another reason of this inequality has been identified as miscommunication between this vulnerable population and health care service providers. The article depicts that there are power imbalances in the interaction of these people with the service provider and their noncompliant behaviour is being attributed to causing their poor health. However, the poor communication between these people because of language and culture issues along with pre assumptions and beliefs about each have widened this gap in health outcomes. The care providers should build trust relationship, adopt shared decision-making approach and provide a culturally safe environment to this people to address this widening gap in accessing healthcare facilities. Another article on the issue is by Aspin, et al. 2012 that also suggest Aboriginal and Islander people have poorer health outcomes and are at high risk of diabetes, stroke, and COPD. Australian society is having widening health disparities which are greatly contributing to chronic illness of Islander people and vice versa. On conducting a primary research, poverty, racism, marginalization and poor communication with health care workers has been found to be associated with health disparities like higher rates of illness, lower life expectancy at birth and higher rates of disability & injury among indigenous people on compared with nonindigenous people. The healthcare workers fail to understand and acknowledge their culture. Further, the authors suggested that there is a lack of culturally appropriate health services along with the scarcity of indigenous health workers that worsen the access to healthcare facilities. It has been recommended that a number of indigenous health workers must be trained, recruited and retained and the wealth of cultural knowledge of these people should be identified and utilized for their upliftment and betterment. Moreover, their cultural knowledge can be integrated into designing the care and support programs for improving the health outcomes of these Islander people. Thus, as these articles have suggested there exists a wide gap in availability and access to health care services for the indigenous population and it's high time that recommended actions are implemented to reduce this gap (Aspin, et al. 2012). past records that the client is having stage 3 of chronic renal disease and hypertension for which he is taking medicines. Chronic renal disease is an irreversible and long term condition that affects the kidney in such a way that its ability to effectively remove excess water and waste from the body is lost and this accumulation of waste and water leads to several complications. Although, most people remain asymptomatic until kidney functions are severely impaired but the disease must be prevented from progressing to complete kidney failure after which only frequent dialysis or kidney transplantation are the options left (Wheeler, & Becker, 2013). In the case of Mr. Kay, first and foremost the nurse would educate the client about the disease process and prognosis of chronic kidney disease along with the changes he needs to make in his diet to prevent disease progression and other complications. He would also be educated to take proper care of his health by adopting a healthy lifestyle of eating right, exercising regularly and get a safe and secure place for himself to stay rather than staying in the car. This would be done as the client seems to take disease very casually and is unaware of its progression, complications or treatment options. The cultural background from which Mr. Kay comes already suffers from a lack of awareness and poor access to culturally safe health care facilities. Aboriginal and Islander people are found to indulge more in health risk behaviors like smoking, alcohol, poor diet, lack of exercise, etc that makes them prone to suffer from obesity, heart diseases, etc. This may be due to poverty, high-stress level or lack of awareness of consequences of this poor lifestyle. Thus, the client needs to be educated and made aware of the available health services along with the ways to overcome the barriers (van Loon, 2011). Client education has found to be a critical part of managing chronic kidney disease since the symptoms of this disease are not much problematic up to a stage; patients take it lightly as Mr. Kay is taking it. Thus, he would be educated and made understand the impact the disease is having on his body and what precautions he needs to take to prevent the disease from progressing further. He would be advised to take a low potassium diet, low sodium, and low-fat diet since these contents can worsen his heart health. Moreover, an iron rich diet and a low phosphate diet are also recommended to prevent anemia and maintain healthy bones. Finally, protein should be optimally taken as complete protein restriction may slow down the disease progression but may cause malnutrition. Additionally, the client would be educated to avoid taking any over the counter medicines like analgesics, etc that may seriously damage his kidney functioning and to always take the drugs under the supervision of a doctor (Nesbitt & Allen, 2011). Another nursing intervention for Mr. Kay is to inspect his skin for changes in color, vascularity, and turgor along with assessing the circulation and hydration of the skin. As Chronic kidney disease increases the risk of impairment of skin integrity because the metabolic state of the body is altered, anemia may cause tissue ischemia and there may be peripheral neuropathy. Further, toxins may get accumulated in the skin and dehydration may occur affecting skin turgor. All this may impair skin integrity and may cause infection. Thus, in order to prevent along with inspecting skin, fluid intake and hydration of skin and mucous membrane would be monitored, any dependent areas having edema would be looked for and the client would be advised to sleep and rest in the place where he can frequently change positions (Locatelli, et al.2013). In fact, he would be advised to carefully move and protect his bony prominences like the elbow, heels, etc. All this would be done because dehydrated, over hydrated or oedematous tissues are more prone to breakdown and by frequent position change, the pressers on the oedematous tissue can be reduced. Due to kidney disease, circulation is greatly affected and in that case, pressure on bony prominence may cause poor perfusion and eventually ischemia. The client would be further educated to keep his skin clean but avoid using soap that may cause itching. Skin needs to be kept moisturized and smooth by using soothing ointments as a dry and cracked skin is at more risk of breakdown and infection. In addition, he would be advised to use clean and comfortable loose fitting cotton clothes and adopt proper hygiene measures of clean bedding, clean clothes, avoiding scratching, etc. All these measures would help in marinating the skin integrity of Mr. Kay and protect him from any skin infection. Well, an essential requirement for the client at present is to have a hygienic, safe and comfortable space to live and rest and for that either he would have to shift in his daughter's house as soon as possible or look for some other alternate options soon. Staying in the car for long is really not recommended for his health and can worsen his condition. Thus, the client would be advised to resolve this issue immediately (Stevens, & Levin, 2013). Aspin, C., Brown, N., Jowsey, T., Yen, L., & Leeder, S. (2012). Strategic approaches to enhanced health service delivery for Aboriginal and Torres Strait Islander people with chronic illness: a qualitative study. BMC health services research, 12(1), 143. Francis, K., & Chapman, Y. (2011). Cultural competence. In D. Kralik, & A. van Loon. (eds. 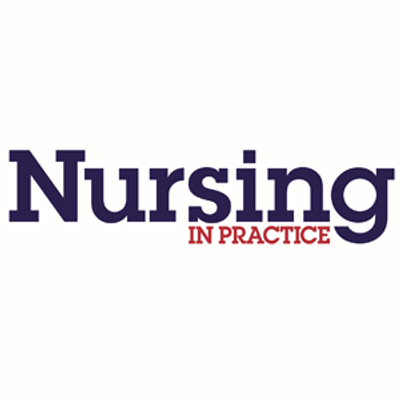 ), Community nursing in Australia. (2nd ed., pp. 236-266). Australia: Wiley. Locatelli, F., Bárány, P., Covic, A., De Francisco, A., Del Vecchio, L., Goldsmith, D., ... & Abramovicz, D. (2013). Kidney Disease: Improving Global Outcomes guidelines on anaemia management in chronic kidney disease: a European Renal Best Practice position statement. Nephrology Dialysis Transplantation, 28(6), 1346-1359. Nesbitt, P., & Allen, J. (2011). Primary health care. In D. Kralik, & A. van Loon. (eds. 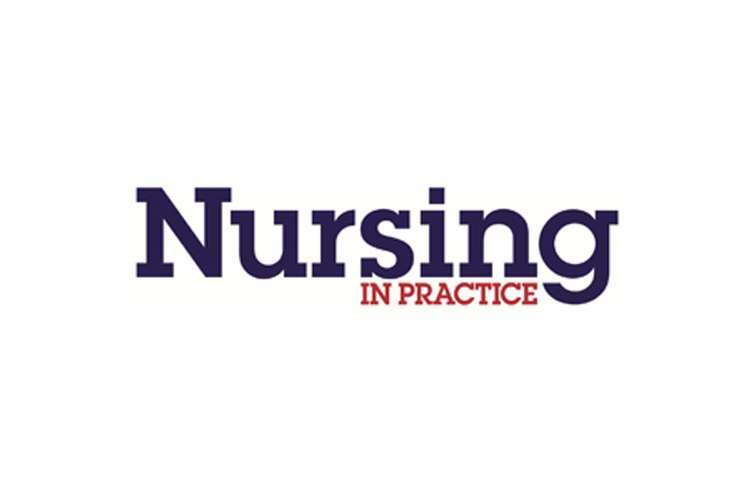 ), Community nursing in Australia. (2nd ed., pp. 85-112). Australia: Wiley. Peiris, D., Brown, A., & Cass, A. (2008). Addressing inequities in access to quality health care for indigenous people. Canadian Medical Association Journal, 179(10), 985-986. Stevens, P. E., & Levin, A. (2013). Evaluation and management of chronic kidney disease: synopsis of the kidney disease: improving global outcomes 2012 clinical practice guideline. Annals of internal medicine, 158(11), 825-830. Wheeler, D. C., & Becker, G. J. (2013). Summary of KDIGO guideline. What do we really know about management of blood pressure in patients with chronic kidney disease?. Kidney international, 83(3), 377-383.